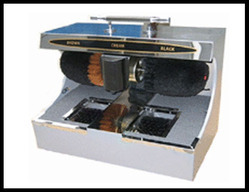 Our range of products include shoe polishing machine with sole cleaner and shoe polish machine spm002. 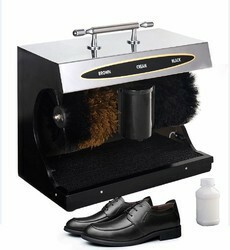 We are offering Shoe Polishing Machine with Sole Cleaner to our client. This shoe polisher has brown and black brushes for shoes of different colours. It also has a smart sensor, so it will start and stop automatically. Further more, it has a shoe polish dispenser. The polish nourishes, maintains, and protects the leather, so your shoes will remain clean, soft, and shiny!